How old are you and tell me about your football career so far? I am 21 years old. I’ve played for Eveswell Football team, then I went on to my school team Maes Ebbw and scored a few goals for them in big tournaments. From there I went on to play for Riverside Rovers then to Newport Dragons Disability football team. I’ve scored a few good goals for them including an important goal vs Cardiff City. Now I’m in Newport County squad for the charity game in September. I’ve already scored two in training from half way and I’m doing well in training also. Do you think your disability affects your performance on the field a lot? No it doesn’t to be honest only when I’m tired or over excited. Well I go to the gym and keep myself fit and practice with a football sometimes. Do you have a big football dream? If yes what is it? Well playing for Newport County game for charity and captaining the side is a dream come true for me but the big dream would be to play for Liverpool one day. Which player(s) would you like to meet one day? Either of Luis Suarez, Coutinho, Cristiano Ronaldo or Lionel Messi. 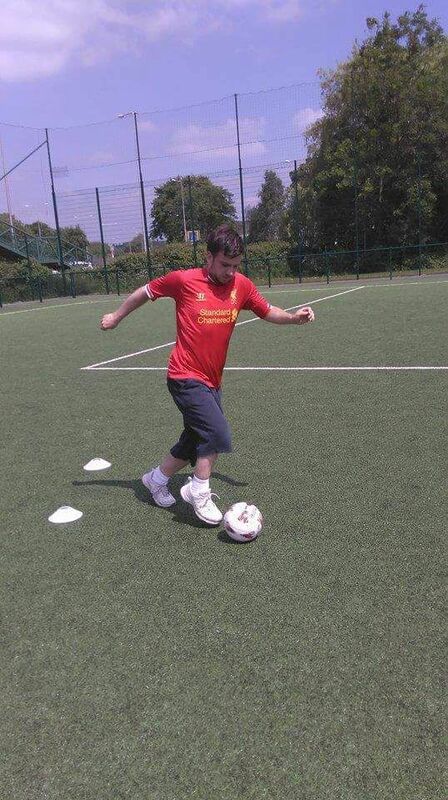 Do you have a message for the budding footballers with autism? Yes I would like to wish them good luck in the new season and good luck for future and hope your dreams come true. What do you think of being captain for Newport County Charity game in September and being in the squad? I think it’s is a great achievement and I’m gonna help my team to do well and score as many goals as I can. I’ve been training with Newport County coaches and been doing well in training also. You got a award at club presentation last Sunday. What was the award for? It was outstanding achievement award which was for the hard work I’ve put in since I came back to my club Newport Dragons disability football club and doing well in training. I play striker mainly but can also play defense if I need to. How many goals have you scored for Newport Dragons disability football club? I scored one vs Cardiff City in the last tournament and scored a few in training which is good. I scored one from half way in training for Newport County last Thursday also. Well I’m hoping to coach Newport County, Wales or my team Newport disability football after my playing days are over. Who are your football heroes? Pele, Messi, Gerrard, Ian Rush mainly. What are your goals for new season? My goals is to do well for Newport County in charity game and score as many goals as i can and do well for newport dragons disability football club. How do you think Newport county and Liverpool will do this season? I think both teams will do well with the new signings and I think both teams have got good managers.